Greystar, a South Carolina-based developer, plans to build an eight-story complex on a vacant lot just east of the Calhoun Beach Club. The project calls for 90 luxury units, averaging 1,600 square feet in size and $4,500 in monthly rent. Several of these spacious “rental condos” will include three bedrooms, which will attract more small families to the multi-family building. ESG Architects have been selected to design the new building. Based in the Twin Cities, the firm is no stranger to designing for upscale urban living. 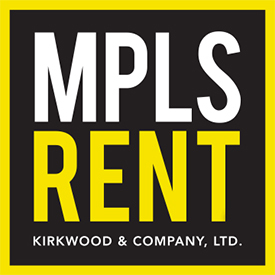 Past residential projects include 9th Street Lofts, Dock Street Flats, Village at St. Anthony, and Mill & Main. Down the road, Trammell Crow, a Texas-based developer, scaled back its original plans to build an 11-story complex with 174 rental units at the site of Tryg’s restaurant. After hearing complaints of owners and residents at the neighboring Loop Calhoun condos, the company resized the complex, shrinking it down to six stories and 155 units. To beautify the property, the development will include a side yard, or “pocket park.” The building’s exterior will also complement the Midtown Greenway, a recreational rail trail located on the property’s north side and frequently used by bicyclists. In addition to outdoor recreation just steps from their front door, residents will enjoy a rooftop swimming pool located above the newly redesigned Tryg’s restaurant. Expand the residential population to 70,000 as a catalyst for driving Downtown's next wave of business vitality, social improvement and cultural renewal. Add 15,000 housing units; expand Class A multi-tenant office space by 3 million square feet; add 1,100 hotel rooms, and build 200,000 square feet of retail space, including at least two new grocery stores. In an effort to revitalize established neighborhoods, the city’s vision will add density by bringing taller and higher quality buildings, including to communities outside the urban core. The plan also includes turning the downtown into a sports district, providing more opportunity for civic engagement, increasing transportation options, and delivering a better pedestrian experience. 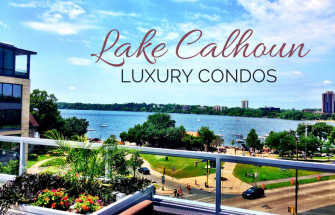 What do you think about the latest residential developments happening in Lake Calhoun’s north end? Share your thoughts in the comments below.